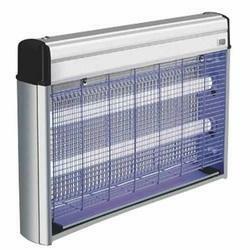 Our range of Insectocutors is electronically operated and has been appreciated for high performance and safety. The bulb range is vast and will be compatible with most fly killers. Further, we also offer our range in various specifications as per the clients’ specific requirements. 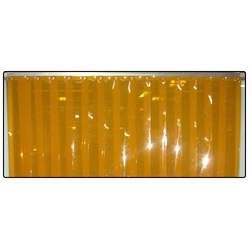 Our quality range of anti insect amber is glare reducing due to light amber color. These are used for keeping the insects away from lights. The light amber color reduces glare from light sources, particularly the sun, by filtering the visible light transmitted through the pvc strip, much like sun glasses. The usage of light amber color such as opaque and black are used in exterior opening as it does not attract insects. 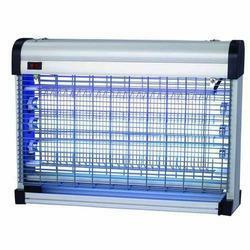 Our range of UVA Insectocutors is fitted with the patented synergetic UVA-green lamp. The bulb range is vast and will be compatible with most fly killers. These are renowned for trouble free operations and long working life. We are one of the leading manufacturers & suppliers of Insect Killer.